Any wealth manager will tell you until they are blue in the face that diversification is the cornerstone of any portfolio with a long-term investment horizon. In a diverse portfolio, the composition of multiple assets and asset classes mitigate the risks inherent in each individual investment, improving the risk/reward payoff over time. In wealth management lore you will hear various balancing strategies such as the “60/40” rule, which recommends you place 60% of your money in stocks and the remainder in bonds. It’s a proven strategy built for success, but there are ways to further balance risk and increase investment returns. Bondholders receive guaranteed fixed semi-annual payments and a guaranteed payout at maturity. Stockholders expect price growth and dividends, though neither are guaranteed. 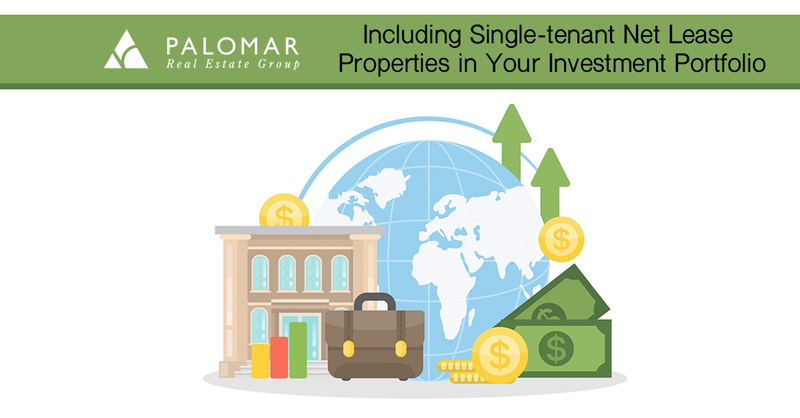 Single-tenant net lease investments combine the best of both with contractual payments and growth opportunity. There is no way to be sure which asset class will outperform the others, but a strong portfolio will include interests in all three. A single tenant net lease investment could be the extra diversification your portfolio needs to improve your long-term risk-adjusted returns.